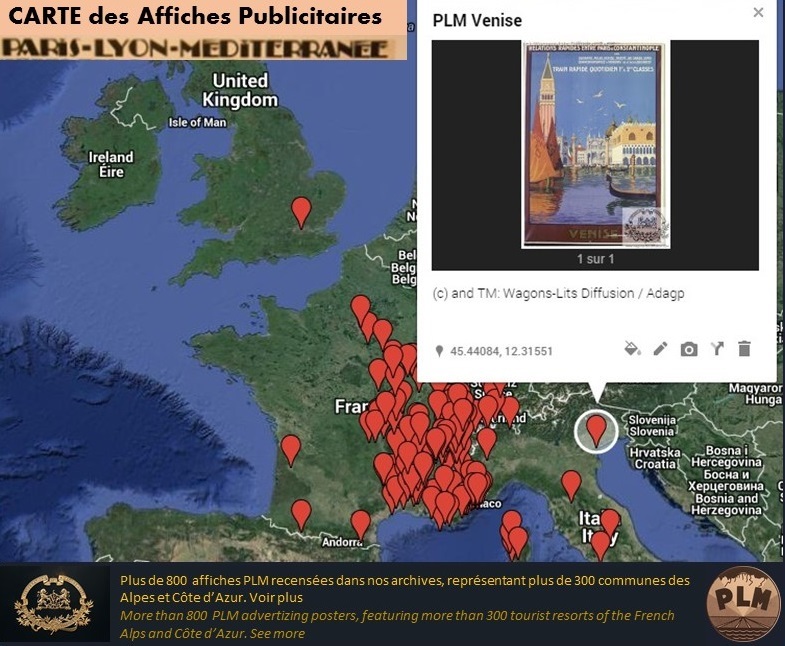 Below is the map showing the Collection of PLM advertising posters (see the history of PLM company, or Paris Lyon Méditerranée), whose copyrights are managed by Wagons-Lits Diffusion in Paris. In total, more than 200 cities and 800 PLM posters (covering most tourist destinations from the Alps to the Côte d'Azur). If you want to reproduce PLM posters , please contact us, mentioning the use (note: this service is reserved to publishing and media professionals).